Handcrafted with pure Thai Karen Hill Tribe silver, this cuff contains over 99-percent pure silver. It features a hammered texture and an adjustable band for a custom fit. 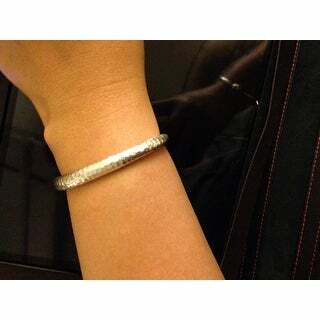 Thai Karen Silver is between 99.5 percent and 99.9 percent pure silver. Karen silver has higher silver content then Sterling Silver thus making the material easy to bend and shape into forms. The hand-hammered and chiseled details are unique trademark of the Karen Hill Tribe and show that each piece has been formed by the hands of skilled Karen craftsmen. Every piece of Karen silver jewelry is captivatingly beautiful and uniquely handmade. A very fine product. 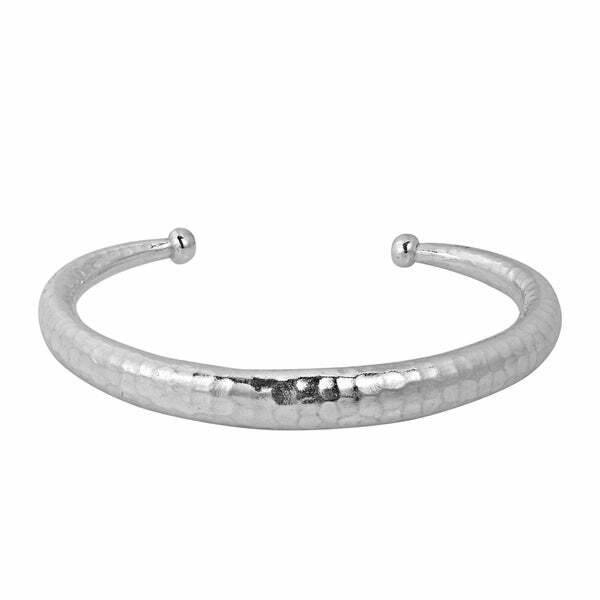 I would recommend this product to anyone interested in silver bangles. Katherine - Silver is a girls best friend! This is one of my favorite bracelets - light - sterling silver - easy to put on & take off! Very versatile! This bracelet is very fashionable. It ihas a beautiful finish and a nice wetght. I ordered two of them. I will wear these bracelets everyday. I am thinking about ordering more. It is just as pictured. Its very pretty and its not very heavy. I haven't take this bangle off since I got it. Lol.. I sleep on it and I take a shower with it too. If you have a small wrist like me you'd like this bangle 😍...and stamped 925. Cuff that simply surprised myself and the person I gave. Ware it all the time, it hasn't come off since I bought it! Not my tribe, but I love their work! Bought this early in my intro to Overstock. I love this bracelet! Put it on when I got it, and haven't removed it. Wonderful solid weight to it. Simple hammered design. And, it fits(I have small wrists). This is a smashingly beautiful, heavy bracelet that looks really good on a man's wrist. A most masculine addition to my wardrobe !!! I would purchase this for yourself or as a gift ! Simplicity makes this one a class act, very stylish. I like this one. With the open back the bracelet does not get in the way when I am writing. These are beautiful! I bought multiples to stack. Pricey but worth it! After reading the reviews I expected this bracelet to be much heavier but its very light. Simple and beautiful . Perfect alone or with other bangles. Great for dressing up or casual. Wear it every day regardless of what I'm doing. SOLID, and very well made. The hammered texture adds a little pazzazz. 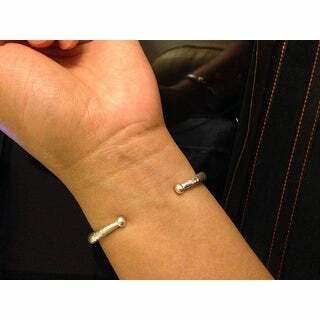 "Looks good but is this bracelet unisex? Men's wear or for ladies only?" Hello eaglestar7, thank you for your inquiry! This bracelet is unisex. I hope this helps. Happy shopping! "is this bracelet hollow or solid?" Hello blueskirt, The Simplicity Hammered Karen Hill Tribe Silver Adjustable Cuff (Thailand) is hollow. Please feel free to contact us again with any further questions. Thank you for shopping with us! It is hollow. It is beautiful, I own three of them.